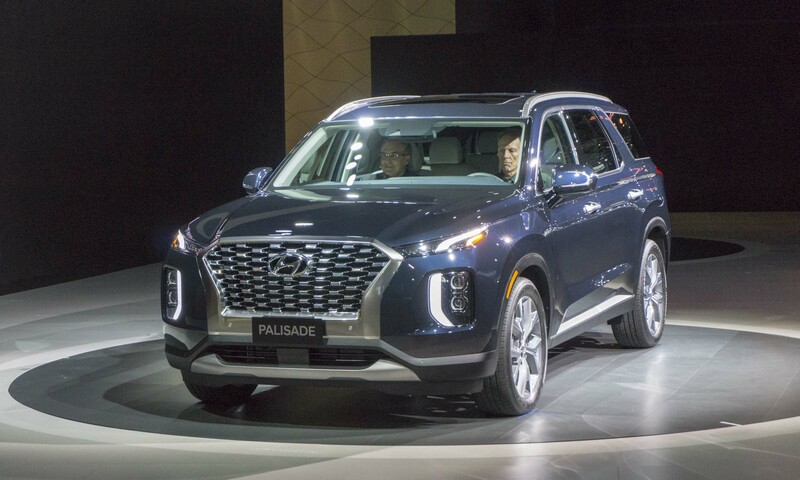 Rolling out in Los Angeles as the new pinnacle of Hyundai’s SUV model lineup, the 2020 Palisade offers standard 8-occupant seating with available second-row individual captain’s chairs. The Palisade is 3.0 inches longer and 3.6 inches wider than Santa Fe XL, bolstering and besting the Korean automaker’s midsize models. 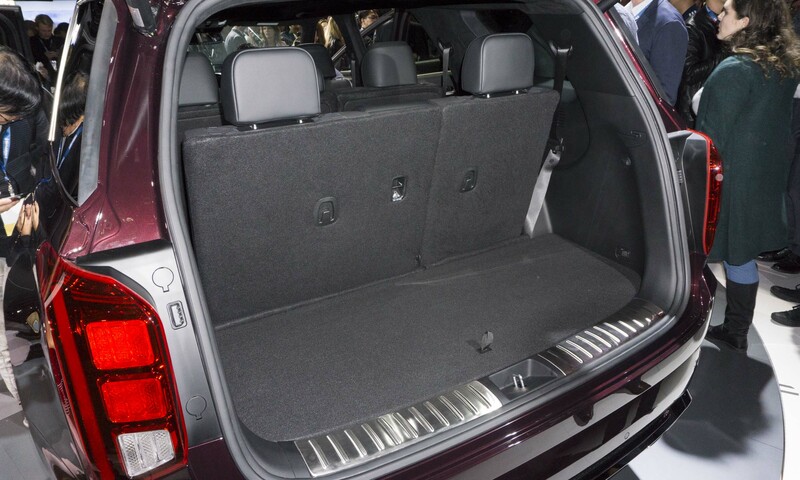 Palisade provides 18 cubic feet of cargo capacity behind the third row and 45.8 cubic feet with the second row folded. 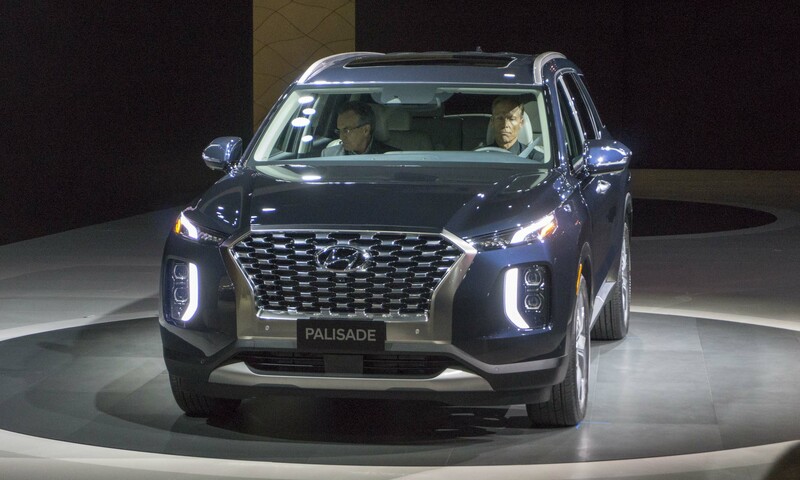 Built on a new SUV chassis, the Hyundai Palisade features a bold, wide cascading grille flanked by separated composite headlights and a vertically-connected lighting signature with available LED headlights, LED daytime running lights and LED turn-signal mirrors. The profile view of Palisade reveals the extended hood line, fast A-pillars, bold C-pillars and panoramic side-glass graphic. Over fenders and bodyside details add to the muscular stance; large 20-inch wheels are available. 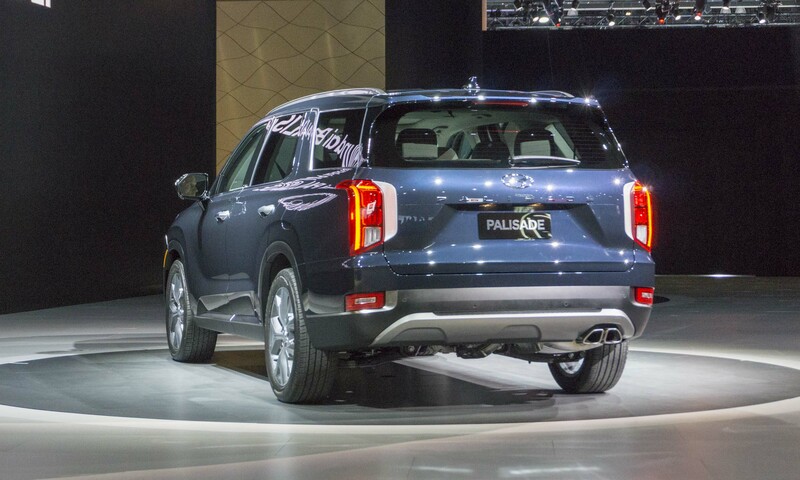 At the rear, vertical LED taillights evoke a sophisticated tone. 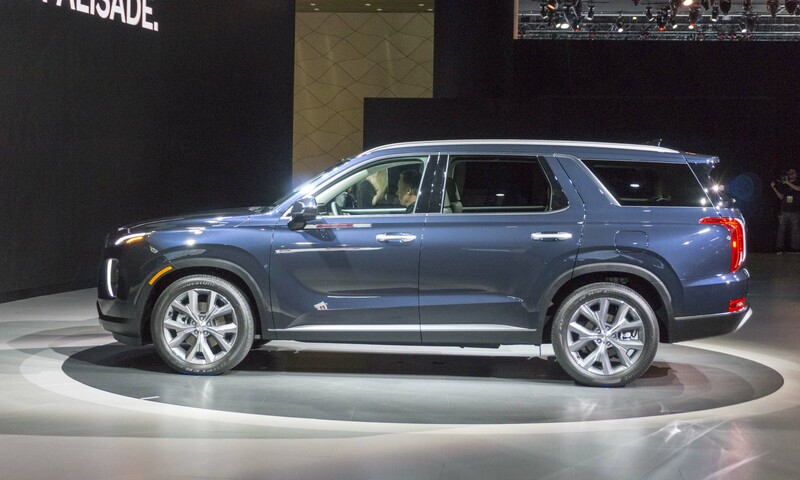 The standard seating for eight includes a One-Touch second-row seat for easy access to the third row, and the third row offers power-folding and reclining rear seats. Second-row captain’s chairs are offered with ventilated seating. A total of seven USB outlets are available, with power in each of the three rows. A new roof-vent diffuser provides air to rear-seat passengers. 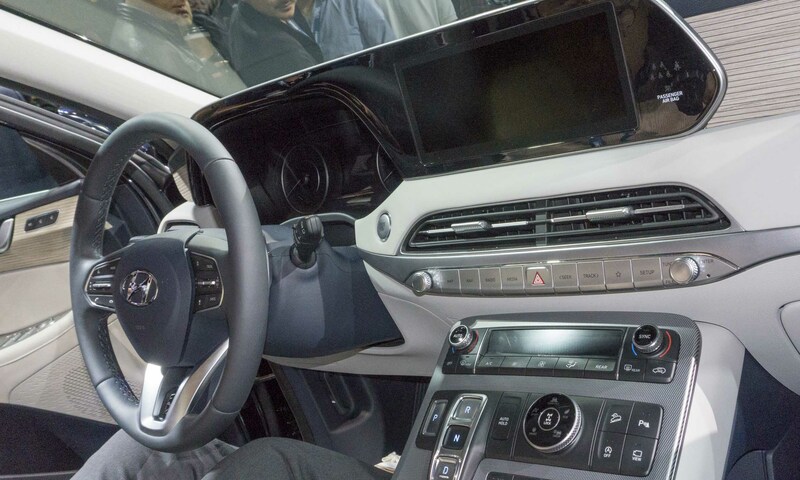 Inside, the 2020 Palisade features a 12.3-inch fully-digital TFT center instrument cluster with a choice of display views, different illumination based on drive mode and available head-up display. Two Bluetooth devices can be connected at the same time, with one for mobile phone connection and the other for audio streaming. Shift-by-wire transmission controls free up center console space, and the console bridge design offers storage space underneath the center console with access from both driver and passenger sides. Optional leather seats feature premium quilted Nappa leather with smooth woodgrain interior trim. 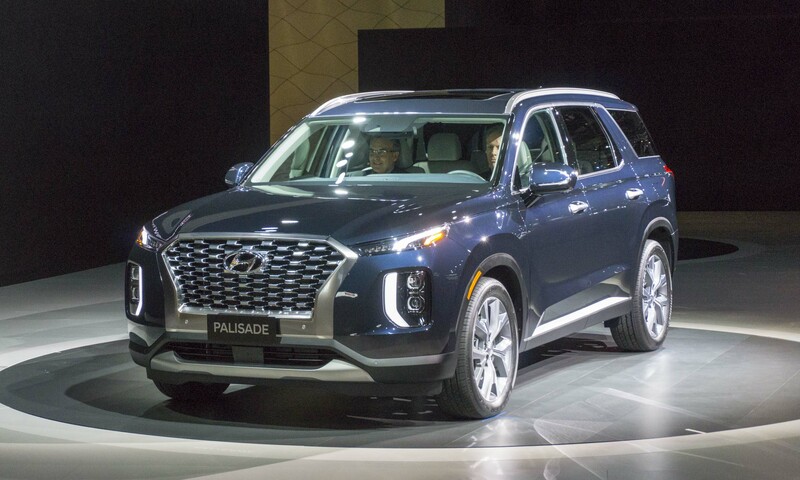 The 2020 Hyundai Palisade is powered by a 3.8-liter V6 engine producing an estimated 291 horsepower and 262 lb-ft of torque, combined with an 8-speed automatic transmission with a multi-plate torque converter. Palisade is offered in both 2-wheel drive and with Hyundai’s HTRAC All-Wheel-Drive system with new Snow Mode. The HTRAC AWD system includes an electronic variable-torque-split clutch to distribute torque between the front and rear axles. It offers Normal, Sport, Smart and Snow modes for a variety of driving conditions. Sport mode distributes more torque to the rear axle for a more dynamic feel. Snow mode adjusts front to rear torque distribution, left to right slip control, engine torque and shift pattern based on available traction. A center differential lock also is offered for the most challenging conditions. Palisade offers numerous standard advanced safety technologies including forward collision avoidance with pedestrian detection, blind-spot collision warning, lane following assist, rear cross-traffic collision avoidance assist, safe exit assist, high-beam assist, driver attention warning and smart cruise control with stop and go. 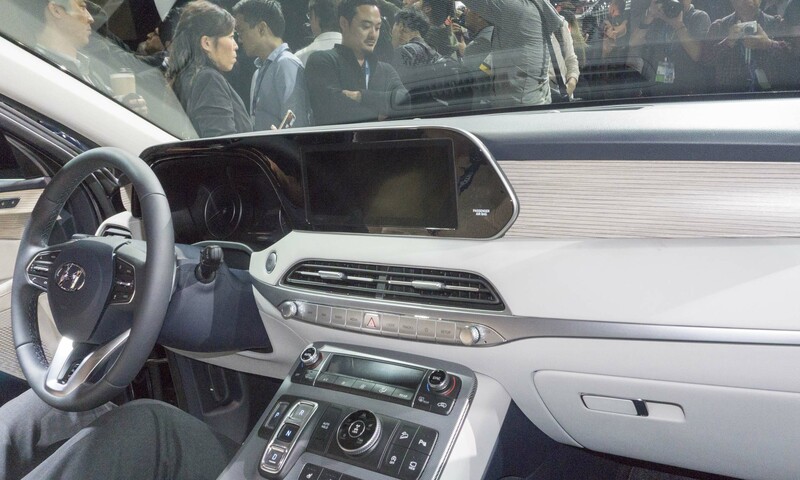 The 2020 Hyundai Palisade offers Hyundai’s latest navigation system with Android Auto and Apple CarPlay and an available Qi wireless charging pad for compatible Android devices as well as recent Apple iPhones. The available premium sound system features award-winning Clari-Fi and QuantumLogic Surround Sound technology from HARMAN. Palisade offers the Driver Talk in-car intercom system with rear-seat conversation and sleep modes that allow the driver to communicate separately with the second and/or third rows of the vehicle via the audio system. 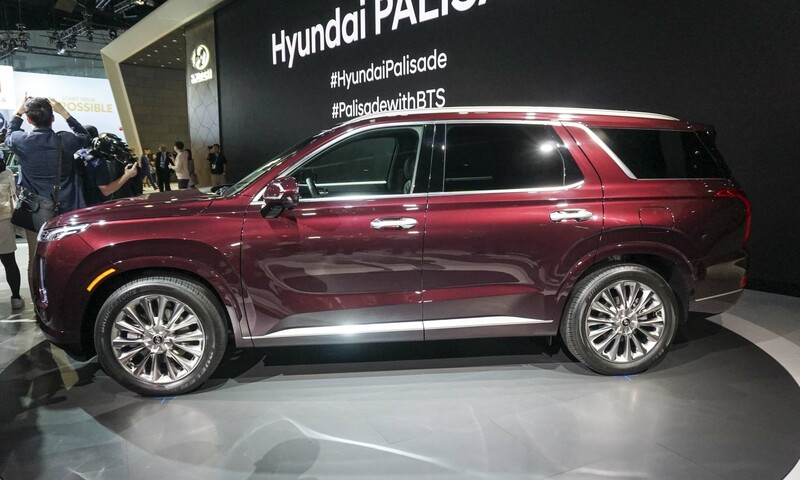 The 2020 Hyundai Palisade will be offered in a variety of exterior colors, including Beckets Black, White Cream, Lagoon Silver, Steel Graphite, Sierra Burgundy, Moonlight Cloud and Forest Rain. Interior combinations will feature unique molding accent colors tailored to the exterior combinations. 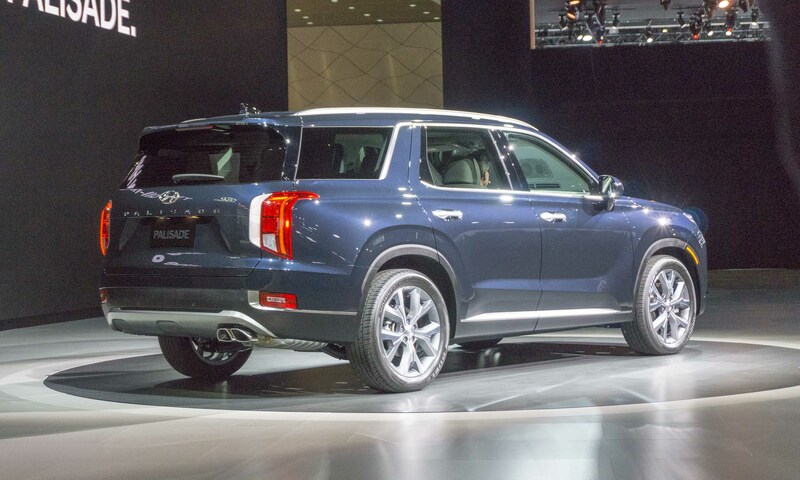 The 2020 Hyundai Palisade is scheduled to go on sale in the U.S. in summer 2019.